Used homeschool books are available in many places. Some are in your home and some are in other’s homes just waiting to be purchased. Selling - Once you use a homeschool book or curriculum and you don’t have any more children that need it, you can get it off your shelves and sell it to someone else who can use it. Some people are intimidated by this process because they don’t know how to figure price, how to describe it, how to ship items, etc. You can learn from someone else how to sell used books or look around the Internet and see how others are doing it. Buying - If money is tight or if you like to make the best use of the homeschool money that is available to you, then you can also buy books from many nice people all over the Internet or from your own group. There are some guidelines on how to buy used homeschool books, but the process is really not that hard. When you buy and sell used homeschool curriculum, that helps you be able to provide your children with even more resources for the same amount of money. Many people buy books that they think they will use and then they either don’t like it or never end up using it. We do the same things with clothes. Just because we buy a shirt and don’t wear it, doesn’t mean that someone else won’t look good in that shirt and love it. Granted, homeschool books are a little different than clothes, but the same principle can apply. 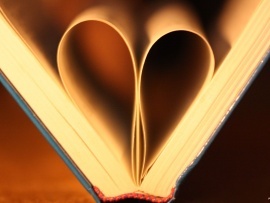 Just because a book or curriculum was not used by one person, doesn’t mean another person won’t love it and use it a lot. Many times I have purchased a book or resource at a used curriculum fair or online, used it for several children, and then turned around and sold it for almost as much as I purchased it for in the first place. Used books are in great demand and places like www.homeschoolclassifieds.com and others provide a great platform for both sellers and buyers. Which Used Homeschool Books are Easiest to Find? 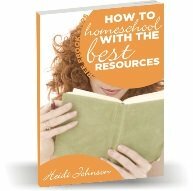 Many times we DO use a homeschool book or curriculum for our child and it can easily be used by someone else. Saxon Math books, homeschool History books, homeschool language resources, and even some Science books can all be used again because you don’t write in them. For specific instructions on how to buy and sell curriculum, I encourage you to click on the links above and get complete and detailed steps on what to write, what to charge, what to look for and what to expect to pay.